Inselect is a desktop application that automates the cropping of individual images of specimens from whole-drawer scans and similar images that are generated by digitisation of museum collections. It combines image processing, barcode reading, validation of user-defined metadata and batch processing to offer a high level of automation. Inselect runs on Windows and Mac OS X and is open-source. 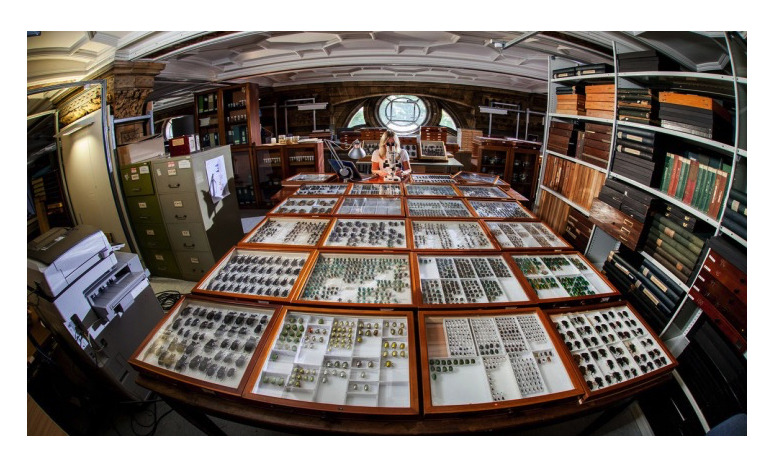 It is a lot easier and quicker to image 130 thousand drawers rather than 33 million individual insects. However, by themselves drawer-level images are not very useful. Manually cropping each image takes too much time and without unique identifiers the individual images are of questionable value. The challenge is to efficiently get a single image of each object along with its associated metadata. associating metadata with the cropped images. This research received support from the SYNTHESYS Project, which is financed by European Community Research Infrastructure Action under the FP7 Integrating Activities Programme (Grant agreement number 312253), and from the U.K. Natural Environment Research Council. "Inselect" by Trustees of the Natural History Museum, London is licensed under a Creative Commons Attribution 4.0 International License, except where indicated otherwise.